Yep, it was 1974. I was at the show. We went to see the Dolls but Kiss — who no one had ever heard of at the time — blew 'em off the stage. The Dolls did an in-store appearance at Recordland in the Eastland Mall the day before. 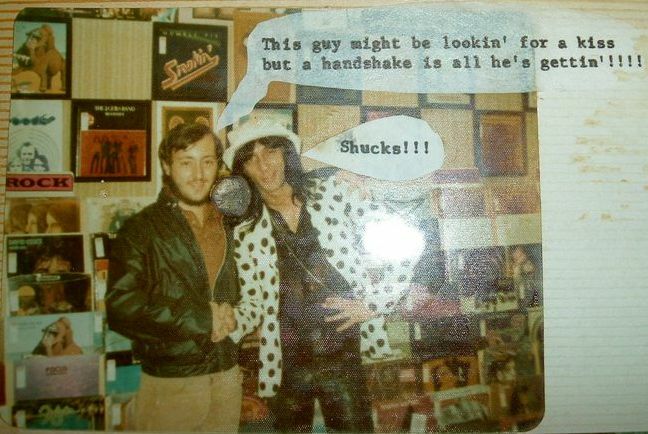 Got to meet Johnny Thunders — very nice guy. Johansen & Arthur Cane were chugging vodka straight from the bottle. Ah, the good ol' days. It's going to be hard to keep up with this New York Dolls trend. Two posts in one week. Ben's "got the right build" for hobnobbing with junkie punk icons.